Building a relationship with your customer takes more than just resolving their issues. Satisfied consumers are the best source for creating new business; but negative interactions can instantly end longstanding relationships. From PC hardware and software to wireless devices and phones, Knoah’s deep-rooted technical support. Knoah agents focus on not just satisfying concerns, but encouraging future purchases. Returning customers contribute more to a company’s bottom line than attracting new ones. We have the experience and expertise to turn operational challenges into success stories. Digital Technology is driving Customer Engagement. 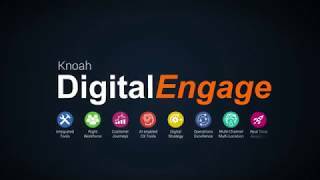 Knoah has always been an early adopter of technology and trends in customer engagement. We are pioneers in web chat and have successfully partnered with some of the world’s largest companies. Today, Knoah is well recognized within the customer support industry and with respected industry analysts as a leading contact center services provider. 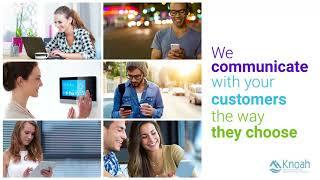 Knoah has always been an early adopter of technology and trends in customer engagement. Our global clientele span multiple industries and those companies trust their precious consumer brands to us. Today’s consumers demand to communicate with you through their preferred channels. Digital customer engagement is the fastest growing segment in the modern contact center, but many businesses aren’t ready to provide a world-class digital customer experience. Analyze your existing web presence and develop an infrastructure. 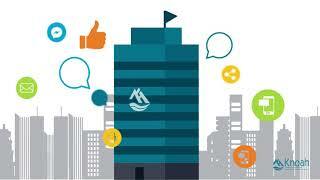 Advanced tools – from digital knowledge bases to social media monitoring. We select and train agents to fit the unique requirements. We implement our operational best practices. We give you digital insights to continuously improve all the KPIs and digital reach to your customer. Bring visibility to the results with an interactive dashboard. Actionable insights to help you plan the future of your service and product offerings.